It's fair to say Netflix are feeling festive. 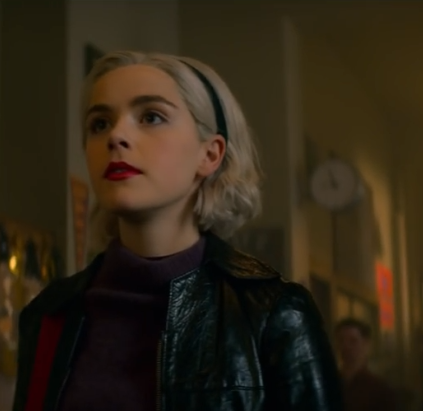 Not only did they recently reveal that Sabrina would be getting her very own Holiday special, which is released on the 14th December, but Netflix have now dropped the teaser promo and premiere date for season 2. 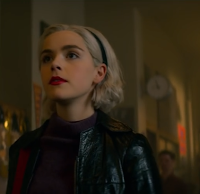 5th April 2019 is the date to slot into your calendars for when the action picks up, with Sabrina having received a two season pick-up when Netflix first announced the show and you can click play on the promo below! In recent casting news announced McKenna Grace will feature in the holiday special as a young version of the title character, whilst Alexis Denisof of Buffy fame will appear as Ms. Wardwell's boyfriend Adam Mastermind who has no idea his girlfriend has been possessed by Madam Satan, and Jedidah Goodacre will appear as nightclub owner Dorian Grey.